Clara Reyes is the founder, editor and publisher of Dos Mundos, Kansas City’s bilingual newspaper. The paper will begin its 35th year of publishing later this year. 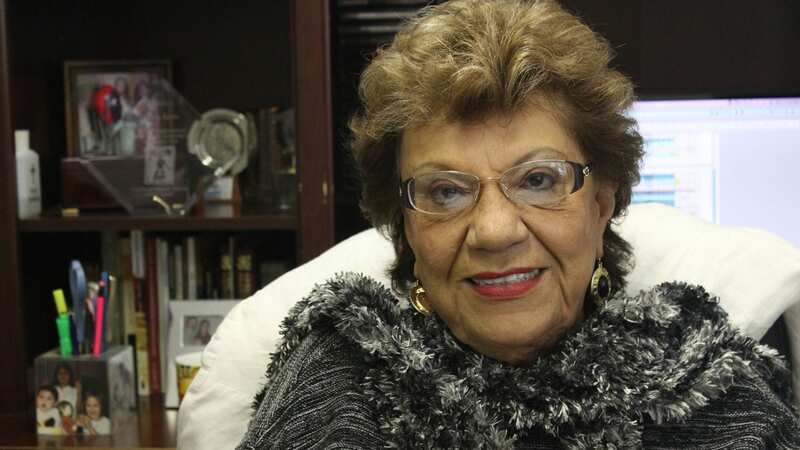 Reyes came to the Kansas City area from Guadalajara, Mexico in the 1960s and later married and settled here permanently. In June of 1981, she published the first issue of Dos Mundos, which was only four pages long. This interview has been edited for grammar, clarity and brevity. 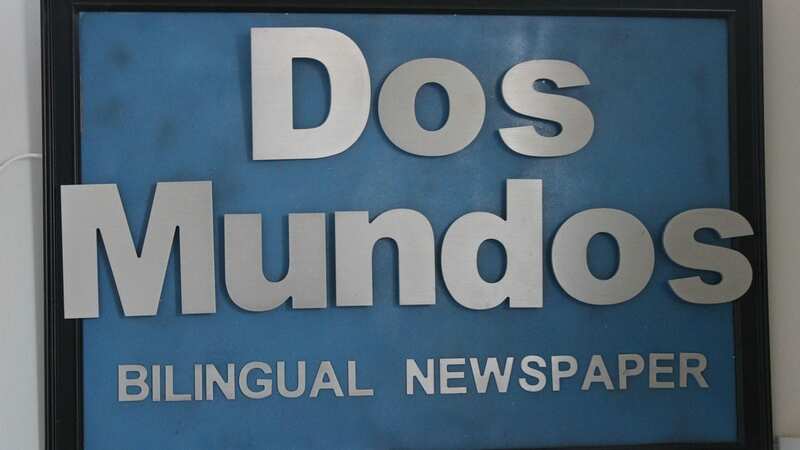 How did you get the idea to start the Dos Mundos newspaper? When I came from Mexico, I was going to college to be a dentist. And, when I came here I started working in a lab making teeth and crowns and bridges and things like that. But I got kind of tired of it and was thinking that I needed to do something with the community. So, I started selling real estate to Hispanic people who couldn’t speak English. And people started asking me, after I’d sell them the house, where do they go to get the lights, and the telephone, and all the things we take for granted because we are from here. But when you come here from another country you don’t even know where to start. So, I started thinking that I could help them and I started going to the electrical company, and they had everything available in Spanish but they didn’t have anywhere to distribute it to the hispanic community. So, that’s how I got the idea. Has Dos Mundos always been published in both English and Spanish? Yes. I have always said that we needed to do it in English as well so the people from the city know the needs of the Hispanic community. We know our needs, but the rest of the city needs to know. And, it’s not like they’re going to start translating the paper. That’s why I started it bilingual. It was almost the first one in the United States to be bilingual. What sorts of articles can you find in Dos Mundos? Information. Information is the key for me. There are a lot of resources, but people don’t know they exist. That’s why I wanted to start a newspaper. And everyone has liked it so much. Everyone has a beautiful story to tell. What was the Hispanic community in Kansas City like back in 1981 when you started the paper? It was very small. That’s why it was hard for me to advance the paper. For many years I put my own money into it. There were lots of times where I didn’t want to do it anymore. In those moments, how did you carry on and continue to grow the company? It was hard, it was very hard. Sometimes I didn’t even have money for the printing. But, the printers would do it for me anyway because everybody was thinking we were doing something really good for the community. The community was really really supportive. If it wasn’t, the newspaper wouldn’t be here today. How has the hispanic community in Kansas City changed over the years? Well, we’ve become really big. Kansas City has always been really good for Hispanic people. And it’s changed the paper a lot. We used to have a lot of articles for information, and people still need that, but people that come here now already have a little more information about everything. How has the company grown over the years? We’ve got three radio stations now. My daughter is now the one who is working there. We’ve got news, music and sports. Mostly, it’s information that the community needs like when it’s going to snow or when the kids are getting out of school. A lot of times the parents don’t know, even if they announce it on TV or the radio, because they don’t understand English very well. So, any emergencies like that we put out on the radio. There are many things that the community needs to know. We also have an app, it’s called Mi Zocalo. We want to keep the community educated and informed. Because to me, information and education are the keys to success. So, we are always telling people “You need to go to school, you need to go to college.” And when someone goes to college and is very successful, we do articles about them and bring them on the radio so that they can tell the people how they got there.